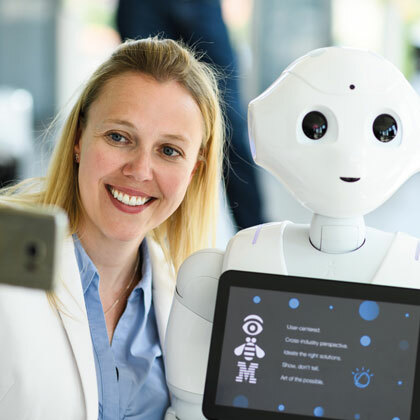 Julia Schmidt, Manager of Innovation and Digitisation at Munich Airport, reveals the airport’s innovative use of robotics equipped with artificial intelligence to benefit the passenger experience, with the creation of Josie Pepper. 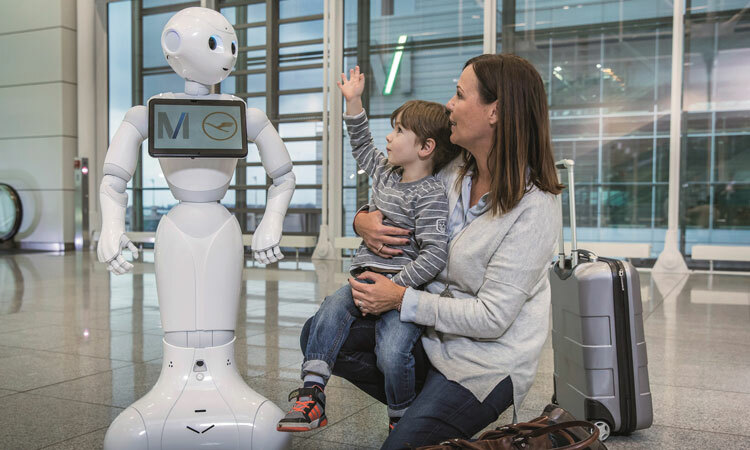 With the start of a testing programme in mid-February 2018, Munich Airport became the first airport in Germany to try out a humanoid robot equipped with artificial intelligence. 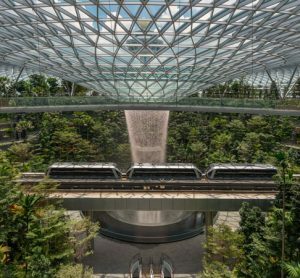 Innovation and the continuous improvement of services are top priorities at Europe’s Best Airport, as voted by the 2018 Skytrax World Airport Awards. To remain competitive in the long term, it is essential for airports to explore new technologies – both within their own industry and in cooperation with partners from other segments – and to integrate these technologies into existing processes and operational procedures. Along with ideas such as augmented and virtual reality (AR/VR), the new concepts now keeping entire departments of corporations busy include the Internet of Things and blockchain. Key areas in these initiatives include robotics and artificial intelligence (AI). 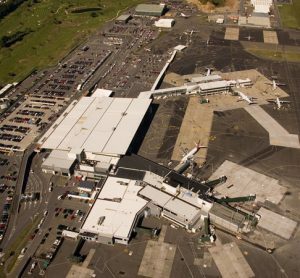 As with many industries, it’s essential for airports to stay on top of these developments too. The possibilities and limitations of AI are currently the subject of intense debate in the media. 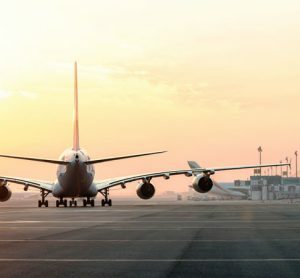 These discussions address such issues as how many processes can be automated, how they can be simplified, and what role robots might play in that regard – not to mention the important question of what it all means for an airport operating company. 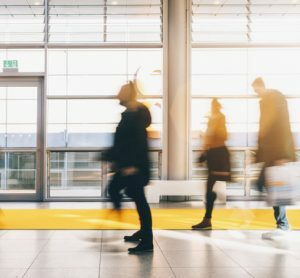 These were the motivating factors behind the decision by Munich Airport’s Terminal 2 innovation team to start exploring the related issues and developments. They began with the question of whether airport-specific processes could be improved through AI applications. Such solutions could retrieve information from various sources and network them for optimal decision-making processes. This raises the question of the right starting point when exploring a technology this powerful. The choice of an information robot to approach the issue of AI enabled the team to kill two birds with one stone, as they were able to simultaneously explore the potential of another technology in interactions with passengers – namely robotics. The little robot, built by Softbank Robotics, is just 120cm tall, weighs 28kg, and answers to the name of Josie Pepper. She soon won over the hearts of airport staff and passengers alike. Equipped with IBM Watson technology, she provides passengers with information on departing flights, the weather at their destination, and airport facilities. Josie is linked via WLAN to the IBM Cloud, where speech is processed, interpreted and combined with the airport’s data resources. What makes this robot special? She is capable of learning. Rather than delivering programmed, pre-formulated texts, Josie answers each question individually. At present, Josie only speaks English, but the option of teaching her other languages is definitely part of the concept. The originally planned four-week testing phase that began in mid-February 2018 was extended to the end of April 2018. Josie’s mission in Terminal 2 has been a resounding success. The overall feedback shows that she is a big hit with passengers and airport employees alike. Interestingly, the most common question she hears is “may I take a selfie with you?” and this has quickly turned Josie into the most frequently tagged photo subject at Munich Airport. After the initial test phase, the project team also noted that passengers were hesitant to ask a robot specific questions about their flights or the airport. For these interactions, they still prefer human contact. That may be comparable to the prevailing attitude to smart phones 10 years ago. Back then, nobody imagined that a phone would become such an important asset, without which every day life would be almost unimaginable. Robots have yet to reach that point, however. For an airport, employees and personal contact with passengers remains indispensable at the moment. However, the flexibility of robots and the relative ease with which they can be trained to take on board the required knowledge opens up a wealth of opportunities, especially at an international hub like Munich. From events to entertainment, there is a wealth of potential follow-up uses for Josie. Munich Airport’s innovation experts are currently assessing where AI might be integrated into other processes. 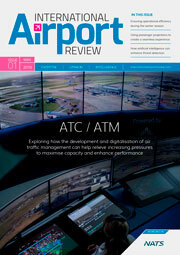 In any case, the optimisation of IT systems will certainly be a key aspect of the airport’s future developments. Julia Schmidt is Manager of Innovation and Digitisation at Munich Airport. After a university degree in business administration Julia began her career in a business consultancy. In 2012 she joined Munich Airport as Head of Project Management Office (Quality Management Division) and, in 2016, moved to the innovation and digitisation management of Munich Airport’s Terminal 2 Gesellschaft mbH & Co oHG, which is jointly operated by Lufthansa and the Munich Airport Authority. Julia’s current position has the mission to optimise processes with special focus on the passenger’s seamless travel chain.